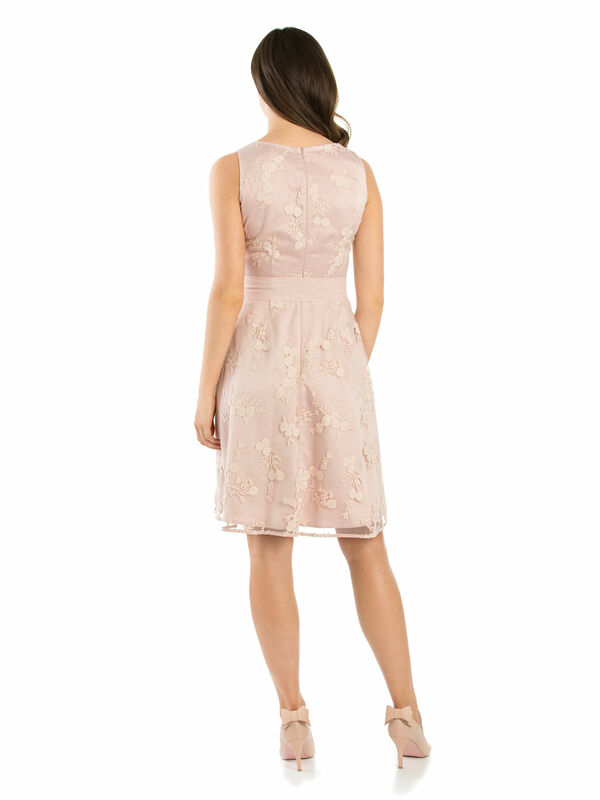 Paloma Rose Dress https://www.review-australia.com/asia/paloma-rose-dress-musk/RE19DR370.REPNK092.html This blush beauty is a flattering and classic style with a modern feel. A fit and flare dress, this sleeveless style features a v-neckline. Its soft fabric is delicately textured throughout with an embossed floral effect. It has a detachable soft tie belt at the waist.